Following last year’s deluxe reissue package, the Jesus and Mary Chain have announced their first shows since 2008. Unfortunately for us Brits they are US only dates so far. 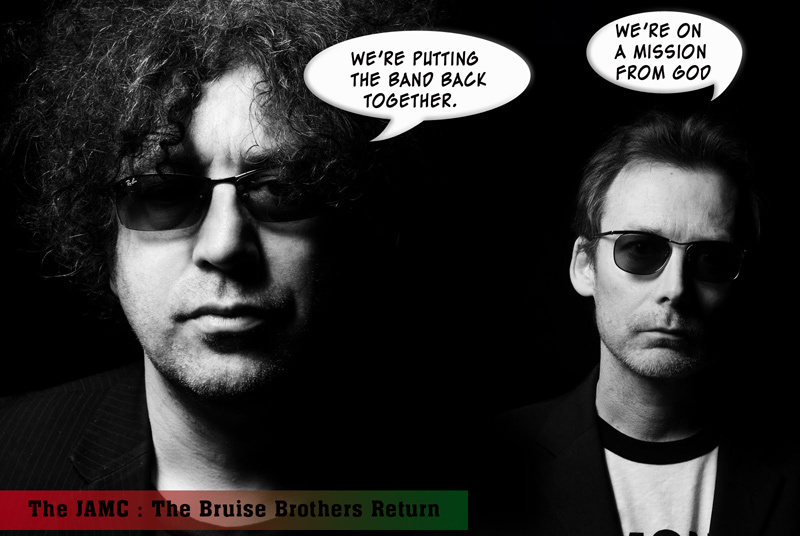 Their mysterious and enigmatic spokesman Kevin Smythe describes it as the band “dipping their toes in the water again.” As well as William and Jim Reid the Mary Chain line-up will include ex Lush bassist Phil King and The VPME’s chum and former member John Moore. Will Bobby Gillespie return on drums? Probably not…. “It’s taken me by surprise as well VP, When Jim called on Sunday night I thought he was going to tell me someone had died. I love the way he lands things on me. ‘what are you doing come the ides of March.’ we always speak in Shakespearean. If I’d said I was going to creosote the shed he’d have changed the subject. Lucky I didn’t. You can hear Jim, John alongside former bassist Douglas Hart and ex drummer Murray Dalglish chat on our special Mary Chain podcast HERE.